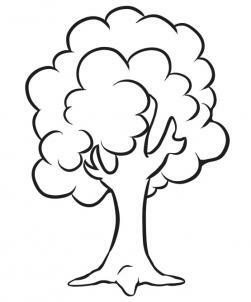 Learn in detail about how easily you can draw a simplest tree that looks beautiful. This is a beginners tutorial that will teach you in step by step manner. So kids can follow and can sketch a tree with pencil on paper.Tree, a word all of us are familiar with. Trees are the gifts of our nature given to us and, to be honest, thankfully received by us and then blatantly destroyed and ruined for the sake of our greedy nature. Unlikely nature keeps on fighting with us to grow more trees but it seems like nature have given up on us and on the trees. Urbanization and industrialization have made us voracious and we have lost our minds for a piece of paper we call money. You may have noticed even if you were a teenager that how green and peaceful the envoirnment was back in 90’s or even in early 2000’s but now its only concrete we can smell around us. I must have to share these feelings with you. Now, our video tutorial for today is how to draw a tree with pencil. This video tutorial is as easy as a pie type of things. We have delineated this video tutorial in a step by step way for kids and for those who are beginners in this field of art. Trees are, in sense the ultimate saviors for us as they absorb CO2 emitted by us and then do us another favor by emitting oxygen for us, so we can call them the superheroes. The super heroes do everything for us, but we, in response kill them cruelly. Well, we can call it the human nature that humans kill all those things which, by any mean, provide some good for them. In this video, consider this tutorial as we are drawing some superhero by a pencil art. Watch the video below and send us your queries about it. If you liked the video, please do not forget to share this video on facebook and help us build a large artists’ community and let them enter into the world of pencil art which many of us have forgotten with the invasion of computer technology.